Tasty Shrimp Sauteed in Coconut Butter, 20 minutes and 3 Ingredients are all you need! 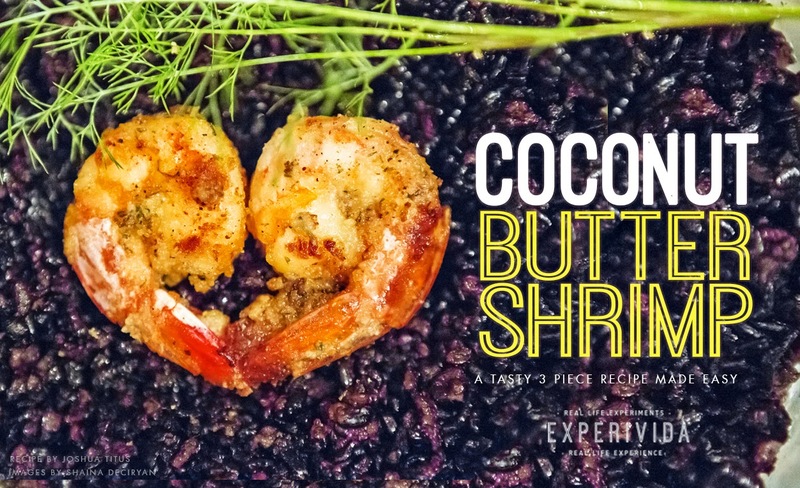 You don't have to be a professional chef to make coconut shrimp. For this recipe, no deep frying is involved, just pure coconut butter for both the oil and coconut batter, and coconut aminos for taste and seasoning. 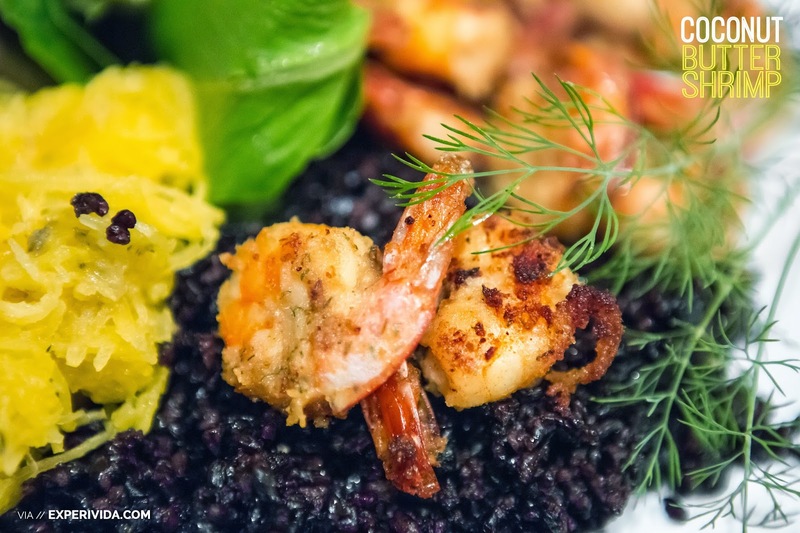 This is the best way to enjoy the flavors of the shrimp and coconut and enjoy the health of ketogenic, whole food ingredients that make the meal high in the good fats and protein that will give you lasting energy throughout your day. But even if you're not worried about what you eat, these coconut shrimp are simply delicious. They'd make an awesome idea for a romantic meal on Valentine's day (coming up next week!) and if you're lucky to have any of these awesome coconut shrimp leftover - they make an awesome lunch treat the next day! We recommend looking for organic sustainably harvested seafood, and we usually rely on our local Viera Publix for their Green-wise shrimp. Keep the tails on, it adds to the flavor and the nutrition of the shrimp. Kind of like the crustacean version of meat on the bone, which is one of the four pillars of nutrition in Kate Shanahan's Deep Nutrition book. Thaw the shrimp in a bowl in your refrigerator the morning before. If you're in a hurry (like we are, haha) you can pour cold water over them in a bowl until they've defrosted. Just make sure the extra water is poured off before cooking the shrimp. 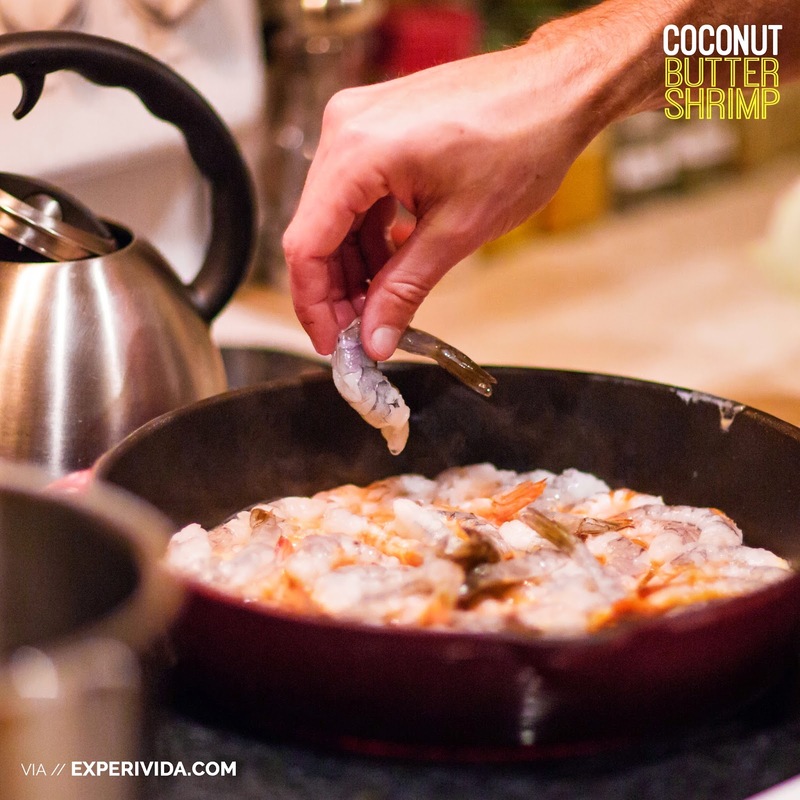 While the shrimp are defrosting, cover the bottom of an appropriately sized pan with about 1/4" layer of coconut butter. I use a 12" Cast Iron pan that works great for the 24oz bags of shrimp, although you have to pack them in a bit. No cooking oil required, it's already in the coconut butter! Sprinkle the coconut aminos over the top, spreading evenly. I'd estimate roughly a tablespoon for a 24oz bag. 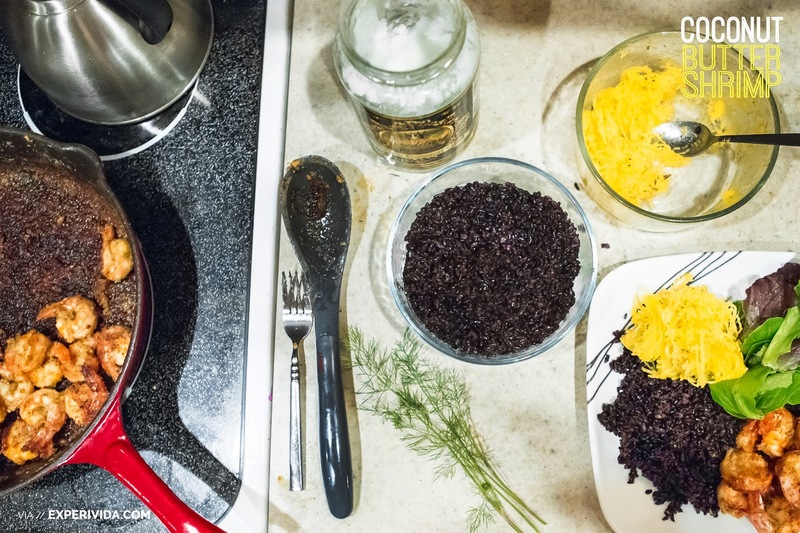 Add any additional seasoning, if desired. 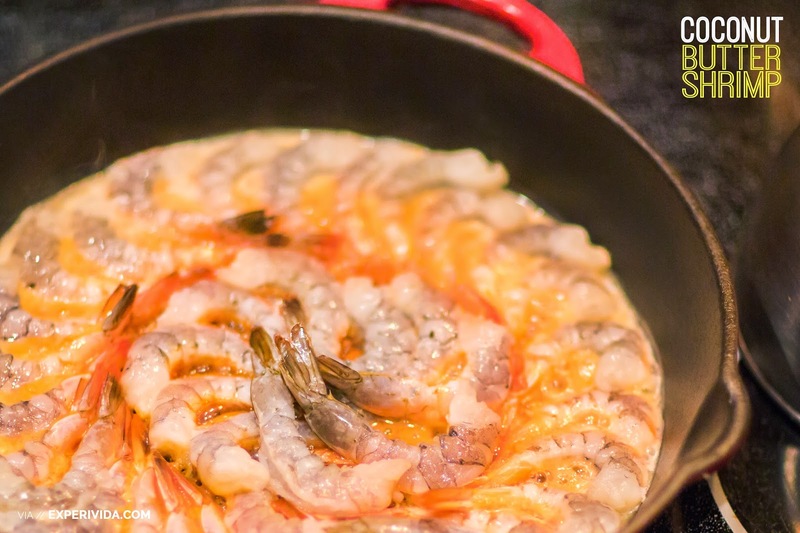 Once the bottom half of the shrimp start to turn pink, about 5 minutes, take a spatula/spoon and stir up the shrimp, coating both sides with the coconut butter. The coconut butter should be browning by this point. Cook until the shrimp are fully pink and coated nicely (about 5-10 mins). Remove from heat and serve! 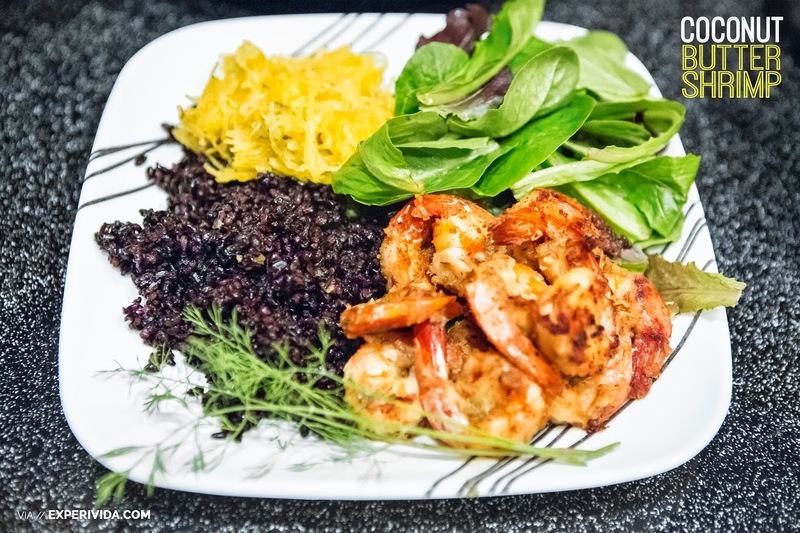 Coconut Shrimp are delicious all on their own, but you might want to add a supporting side salad, black rice, spaghetti squash and/or your favorite side to finish out the dish. 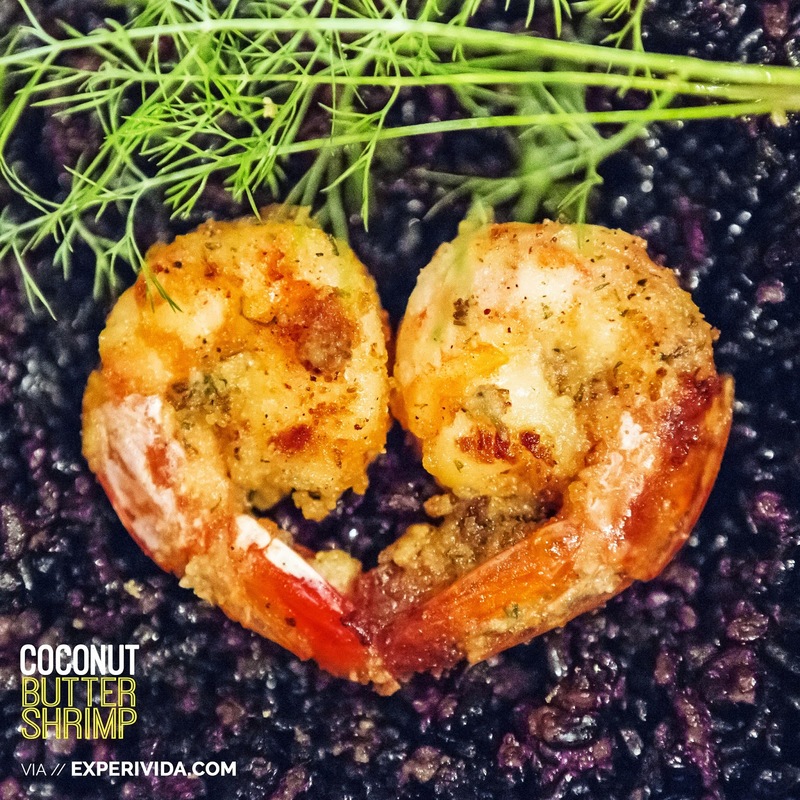 Let us know about some of your favorite mixes, and how your Coconut Shrimp creations turned out!